An album for children and adults. The overture Egmont by Beethoven is probably one of the most played overtures ever. The rest of the music is a bit forgotten, because of the connection with the drama. Plays are now rarely performed with orchestra. 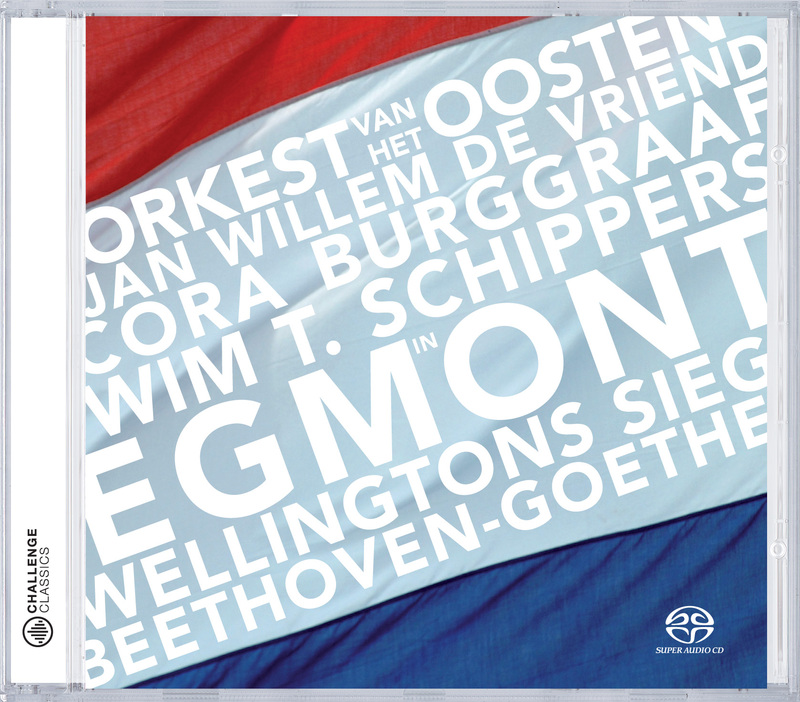 Wim T. Schippers made a new version of the play Egmont. He went back to the play by Goethe and edited the story to a mix of drama an narrative. Together with mezzo-soprano Cora Burggraaf he tells the story of Lamoraal I, fourth earl of Egmont and his beloved Klärchen. The story of this earl inspired Johann Wolfgang von Goethe to write a play. He based his Egmont (1787) on the historical events in the Netherlands. He exaggerated the story sometimes and added some romance: Egmont's faithful spouse with 11 children was replaced by Klärchen, a young wench, which in the end desperately commits suicide, because of the destiny of her beloved. The play ends with a call of Egmond to fight for independence. He dies as a martyr, his dead is a victory for the dutch people and a defeat for the tiran Alva. In this time it was common to add music to a play. Goethe already indicated some places in the text where music could be played. Several composers wrote music to his play Egmont. When the drama was performed again in 1810 in Vienna the director of the imperial theater, Joseph Härtel Edler von Luchsenstein, wanted Beethoven to compose the music. And this time not only the pieces which Goethe mentioned in his text (the two Klärchen-songs; ‘Klärchens Tod bezeichnend’; ‘Melodrama’, and the ‘Siegessymphonie’), but also a beautiful overture and four entr'actes. Beethoven had met Goethe in person before and was very impressed by his work. Besides this he liked the subject of the drama. The English text referred to is that of the entire play. What would be most helpful to listeners of the recording is a copy of the exact text - in any language - as assembled and spoken by Mr. Schippers in the recording and delivered with extraordinary passion, fully complementing the exceptional performance of Beethoven's music. In what language is the narration spoken? If this is a 'in concert' recording, is it Dutch or German? In whatever language was used, is a copy of the text used available? Yes, this CD is hybrid and multichannel. For our records, is this disc hybrid and is it stereo and/or multichannel?